Drug and alcohol addiction means that a person takes measures to tend to drug and alcohol recovery or they agree to a life of suffering and misery. So what is your choice going to be? There is hope! 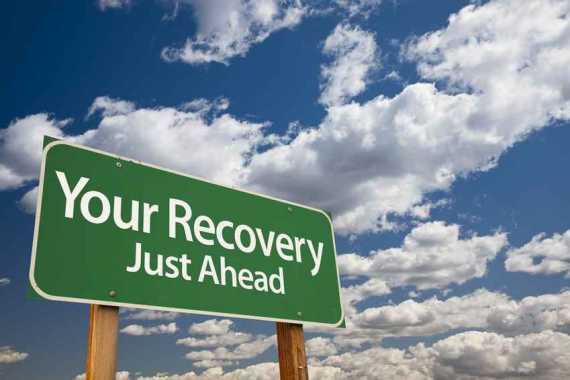 Recovery help is available to help a person restore their health, happiness, dignity, and sobriety. Make your next move towards those ends now! Your next move is to receive free, confidential help by filling out our contact form or by calling our drug and alcohol recovery hotline. Drug and alcohol abuse and addiction issues can have the severest of consequences and can easily result in death, hospitalization, mental health institutionalization, jail, prison, injury, disease, or illness. Call 911 now if you are contending with an emergency. Otherwise, it becomes imperative to seek measures for drug and alcohol recovery as soon as possible to avoid calamity. Getting sober and taking steps towards drug and alcohol recovery can require enormous commitment, but it all starts with a single step in acknowledging that there is a problem. Once an addict accepts that there is a problem, he or she can start on the path towards a bettered life. There are many different recovery options available to help a person who has decided to attain a sober life and lifestyle, but it can be difficult to find the right help in too many cases. The following information can be extremely beneficial to those seeking to start a drug and alcohol recovery plan. Although these steps can be a general guideline for recovery, remember that addiction is so often an individualized problem and every struggling individual has different needs and will respond and work best with specific, individualized treatment that best suits their unique personality and situation. Addiction recovery may not be like so many other diseases where a single treatment works for everyone. Drug recovery and alcohol recovery can be very personal to each individual and should be respected as such. Actually, Really, Truly Commit to Recovery! The first step to pursuing drug and alcohol recovery is to make a commitment to yourself that that you will stop using. Some struggling individuals will commit willingly and on their own and are desperate for recovery. Other individuals may require intervention from loved ones. The good news is that many drug and alcohol recovery centers offer intervention services that are extremely effective in gaining an addict’s agreement to enroll and participate in treatment. Goal orientation and execution can be skills with which many people struggle, and that struggle can be compounded for an addict who is just starting on the road to recovery. However, many counselors, therapists, and addiction professionals specialize in this area and can help a struggling person with this vital life skill. Indeed, this skill is imperative to drug and alcohol recovery and must be part of a winning formula. There are over 11,000 options for alcohol and drug recovery in the United States. Many employ varying methods and processes that can reach one specific type of personality and not another. Getting clean and sober can hinge entirely on getting appropriate, compatible treatment. How does one sift through all the options and arrive at the right recovery solution? Drug and alcohol recovery can be made a reality! By contacting us, you are activating a network of advocates who are dedicated to your recovery endeavor and your overall recovery experience. We are extremely knowledgeable regarding recovery. Please allow us to assist you, to bring stability and understanding to your situation, and ultimately to raise the potential for a successful, sober outcome. We offer our help for free even though such assistance and guidance so often prove to be totally invaluable! Drug and alcohol recovery is worth it! Treatment, counseling, therapy, rehab, and other recovery measures may be exactly that which liberate a person from the suffering and anguish of addiction. Seize an improved life and reclaim a person’s sanity and sobriety by taking your next step now! Your next step is to receive free, confidential help by filling out our contact form or by calling our alcohol and drug recovery hotline.